Is Your Youth Group Welcoming to Everyone? And you can tell the temperature of your youth group very quickly at how they behave toward one another. Jesus says that people will know Him by how they love. With the way the “R-word” is thrown around by teens as a pejorative in today’s culture, there are some enormous lessons to be learned. Spending a week helping youth to reframe the way they view the most vulnerable in their community could change the world! What keeps kids with ADHD out of church? Since we’re filming a training this weekend on the impact of ADHD on spiritual development, I thought today might be a good time to review some of the impediments to kids and adults with ADHD becoming involved and staying involved at church. Let’s start by looking at this issue from the perspective of the parent. In all probability, the kids aren’t coming to church if the parent doesn’t bring them to church. By the weekend, many parents of kids with ADHD are very tired. Kids with ADHD often have a very difficult time getting through their morning routine. They need constant reminders to get out of bed, get dressed, eat breakfast and are easily distracted by the TV, the dog, just about anything. If kids are taking medication, the stuff does take a little while to kick in, so that mornings often become a great source of frustration to parents. If the parent(s) can get their child up and ready in a reasonable time, the next challenge is the car ride to church. Compared to kids without ADHD, the child with ADHD is more likely to be angry about going to church, more likely to be screaming, yelling or crying because of some perceived grievance about their sibling’s behavior, and the family as a whole is less likely to arrive in a worshipful mood. Another common complaint I hear from parents whose experience of church has been in denominations or traditions in which children and parents are expected to attend worship services together is that they can’t get anything out of the experience if their primary focus is monitoring their child’s behavior during the service. We’re seeing a growing trend among Catholic churches we serve to offer (at least periodically) separate worship experiences for kids and adults as a strategy for addressing this problem. I’m admittedly apprehensive about the well-intentioned efforts of some in the family ministry movement to discontinue separate worship experiences for kids because I suspect we’d lose many of the families of kids with ADHD who have difficulty with self-control. Finally, we have the issue of parents who themselves have ADHD. They’re more likely to have difficulty following through on good intentions. They may want to come to church, they may know it’s important for their kids to be involved at church, but they have a hard time pulling things together to make it to church. They’re more likely to suffer from insomnia, or be “night owls” themselves, and struggle to get themselves up in the morning, much less their kids. They have more difficulty with establishing priorities and managing time. I can spot the families affected by ADHD in our church parking lot ten minutes after the start of the last service with Mom hopping across the parking lot putting her shoes on with three kids in tow. For parents who themselves may have ADHD, the ease and clarity with which a church communicates where to go and what to do when you arrive is especially important. They tend to be easily frustrated looking for parking. They have a very difficult time remembering directions, resulting in the need for signage that is highly visible and processes for checking in and checking out kids that are as simple as possible. Here’s one more issue to consider: Unlike families in which a child has an autism spectrum disorder, in which divorce rates are no higher than in the general population, the divorce rate nearly doubles in marriages where there’s a child under the age of eight with ADHD. Kids with ADHD are more likely to be alternating from household to household on the weekend, making establishment of a consistent routine of church attendance more difficult. 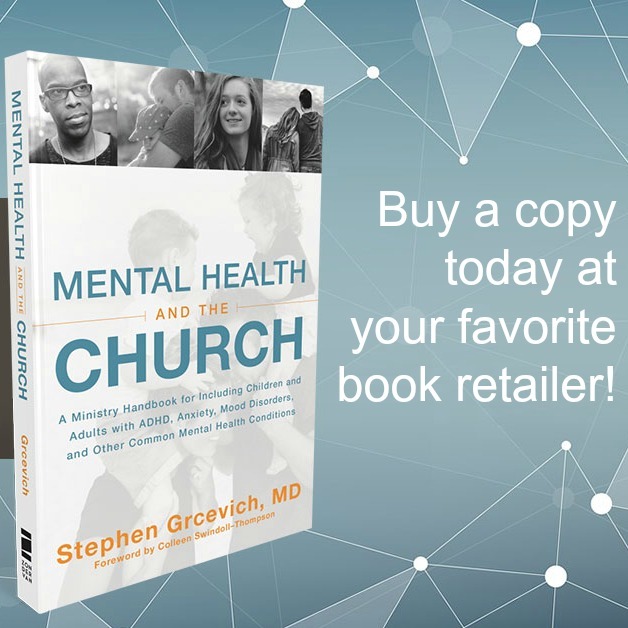 What about the experience of church from the perspective of the child or teen with ADHD? Kids with ADHD are often capable of intense focus when they’re engaged in activities they find interesting. In fact, the vast preponderance of the time kids come into my office with a history of wetting themselves during the daytime, their “accidents” occurred while playing a video game or outside in the middle of play with their friends. In many ways, ADHD should be thought of as an attention dysregulation as opposed to an attention deficit…kids with ADHD pay attention to too much stuff, much of which is unimportant, at the expense of what they need to pay attention to. Kids with ADHD don’t do well in situations when they perceive the activity or the topic as boring or irrelevant, and unfortunately that’s the case in too many churches. I’ve said on many occasions that I believe it’s a sin to bore kids with the Gospel. And that’s exactly what happens when kids are required to sit through worship services designed for adults, especially kids with ADHD. For many kids with ADHD, especially those with the “H” component, the mental energy required to maintain self-control for an extended period of time takes away from their ability to get the desired “take away” from their church experience. They don’t like sitting for extended periods of time. Many educators are starting to catch on to the importance of movement and exercise on learning. As kids with ADHD get older, rates of insomnia increase. Many of these kids are “night owls”…they stay up very late because they have a hard time slowing down their brains to settle enough to fall asleep. The problem is compounded when they have to get up very early (6:00 AM in the case of our tenth grader) on school days. By the weekend, getting up and out of bed may be more of a challenge for the teen with ADHD than their friends. One of the wiser moves the leadership made at the church our daughter attends was moving high school worship service from 9:00 AM to 6:06 PM on Sundays. Let’s just say there weren’t a whole lot of kids with ADHD responding to invites from their friends to check out 9:00 AM church! Here’s another consideration… there are a lot of kids with ADHD who need to take medication to have a successful school experience during the week who don’t have that option available to them on the weekend because of concerns their treating physician or parents have about the effects of medication on appetite and growth. Think about this: If many kids with ADHD require medication for school during the week despite accommodation plans and assistance from teachers with special training, how do you think they’re going to do at church on the weekend without medication and a volunteer leader who lacks a teaching degree? One of the main points my former ministry colleague Katie Wetherbee makes when training church staff and volunteers is that kids want to be successful. My kids with ADHD often get very frustrated and discouraged and start to see themselves as a disappointment to parents and teachers. Put that kid in an environment in which the behaviors resulting from their inability to maintain self-control may be labeled as sin and see how excited they’ll be about coming back next week! SG: Hi Jake. How you doing? Jake: Really good this year. (Hesitation) Dr. Steve, Can I ask you a question? Jake: When I go into my church service, there are too many kids yelling and screaming and talking and pushing…I can’t concentrate on what’s going on. Do you have any suggestions for what I can do? Jake just had too much trouble tolerating the level of stimulation in the large group worship area that was present at the time. He liked the discussions when he broke out into his small group, so his parents and leaders came up with a great solution. Jake was given an orange vest and made a part of the parking team between services. We had people who drove around the lot looking for Jake on Sunday morning because of his friendly demeanor. He’d finish directing traffic about the time his large group worship was winding down and the kids were getting ready for their breakout groups. ADHD is among the most commonly identified mental disorders in children and teens in the U.S. According to a 2011 study, 11% of youth between the ages of 4-17 have received a diagnosis of ADHD, and over 6% are actively being treated for the condition with prescription medication. Given the sheer number of kids affected by the disorder, the need for the local church to serve, welcome and include them (and their families) has become too great a problem to ignore. We need to understand the nature of the disability associated with ADHD if we’re to appreciate the challenges the condition presents for the church and for parents invested in their child’s spiritual development. According to the DSM-5 criteria, children, teens and adults with ADHD have a developmentally inappropriate degree of inattentiveness, poor impulse control and in some (but not all) instances, hyperactivity. Russell Barkley, Ph.D. is one of the world’s foremost experts in researching brain mechanisms in children and adults associated with ADHD. I had the honor of being his co-presenter at a day-long symposium on ADHD a number of years ago and was surprised to discover that he’d co-authored a paper with Dr. William Hathaway from Regent University entitledSelf-Regulation, ADHD and Child Religiousness(Journal of Psychology and Christianity, 2003; 22(2):101-114). Here’s a fascinating lecture on the nature, causes and treatment of ADHD that Dr. Barkley gave on February 13, 2008 at the U.C. Davis MIND Institute. Dr. Barkley’s theories suggest that ADHD is a disorder not only of attention, but of executive functioning as well. Executive functioning describes a set of cognitive abilities involved in controlling and regulating other abilities and behaviors. Such functions are necessary in initiating goal-directed behavior, suppressing impulses arising from lower brain centers, and planning future behavior. There are five key executive functions: Behavioral inhibition (critical to development of the other functions), non-verbal working memory, verbal working memory, emotional self-regulation and reconstitution. We’ll describe in more detail the consequences of delays in the development of these functions. Behavioral inhibition involves the ability to delay one’s response to an event (allowing time to think), interrupt a chain of responses to an event and the capacity to keep competing events from interfering with the initial response. Without this ability a person would be entirely focused on the immediate consequences of any action or behavior and would be unable to develop the capacity for self-control. Kids in whom the development of this capacity is delayed will be unable to suppress the publicly observable aspects of behavior. Non-verbal working memory involves the capacity to maintain a picture of events in one’s mind. The ability to analyze situations for recurring patterns in order to predict future events is critical in anticipating consequences of behavior, managing relationships and planning complex, goal-directed behavior. Moral conduct and social cooperation are contingent upon this capacity as well the retention of events in sequence that allows one to estimate the time required to perform a task. Kids who experience delays in developing this capacity will have more difficulty remembering multi-step directions, more difficulty completing tasks (especially tasks that take a long time to complete), and will tend to underestimate the amount of time necessary to complete assigned tasks. Verbal working memory involves the capacity to think in words. Internalization of speech allows kids to internalize social norms and rules, facilitating moral development. As kids develop this capacity, they’re able to hold a thought in their mind without having to actually say what they’re thinking. A classic example is the inability of little kids to pray silently.Kids with delays in development of verbal working memory would tend to talk excessively compared to peers, have more difficulty organizing and communicating thoughts, struggle more with use of proper grammar and experience more challenges in following rules and directions. Emotional self-regulation involves the ability to keep private one’s initial emotional response to an event or situation. This allows a child to modify their response to an event as well as the emotions that accompany the response. Capacity to sustain motivation for future-directed behavior is contingent on this ability. Kids who experience delays in acquiring this capacity will likely appear to overreact in response to minor provocation, have more difficulty appreciating the impact of their actions upon others, and have more difficulty summoning the drive or emotional states to overcome obstacles or complete goal-directed behaviors. Their response to initial frustration is usually to quit the activity or task. Reconstitution involves the ability to use private visual imagery and language to represent language and actions. This allows us to mentally rehearse possible solutions to problems when attempting to overcome obstacles in order to complete a task or achieve a goal without physically having to carry out each and every solution. Kids with delays in acquiring this capacity will experience much more difficulty generating solutions to problems when they get frustrated or stuck. The theory described above applies only to kids with the classic, combined type ADHD in which kids have difficulty with impulse control and hyperactivity. In general, they know what they should do, but lack the self control to do what they know is right. They also are challenged to generate work product, be it schoolwork or completion of chores at home. Kids with the inattentive subtype of ADHD have problems with focus, concentration and information retrieval. They are more likely to complete their work, but make careless mistakes in doing so.